Certified Nurse Assistants play an important role in the world of health. There are more than 1.5 million practicing nurse assistants in the United States. They work in hospitals, clinics, home health care, and long-term care facilities caring for others who cannot care for themselves. According to the Bureau of Labor Statistics, the job growth for nurse assistants is faster than average. The BLS predicts a growth of 20 percent or more by 2020, which translates to more than 310,000 new employees. It’s an exciting time to become a CNA. The short-term training required for practice prepares individuals with the knowledge, skills, and experience that are always in demand. As the industry continues to grow, CNAs will serve on the frontlines of care, acting as essential liaisons between patients and medical staff. 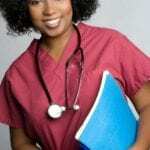 The profession may be a stepping stone to a career as a licensed practical nurse or registered nurse. J.F. Drake State Community and Technical College prepares nursing assistant students to care for the sick, convalescent, injured, and disabled under the supervision of a registered nurse or physician. The state approved course meets the OBRA training requirements for long-term care nursing assistants. Through a combination of classroom instructions, hands-on skills development in a simulated lab, and supervised clinical experiences, instructors emphasize the development of key competencies needed to provide direct care in a long-term care setting. Classes meet Monday through Friday from 8 am to 5 pm for two weeks. The clinical experiences begin in the second week of classes. Students must be at the clinical sites for 6:45 am. Applicants must submit a completed registration form, proof of TB skin test, CPR certification, a driver’s license and social security card, and a receipt showing full payment of tuition two weeks before classes begin. Students must obtain the course textbook, uniform (white scrub tops and bottoms), white walking shoes and white socks, and patch. Tuition for the program is $754 and includes the BLS course certification. Graduates are eligible to take the state certification exam. The American Red Cross is the premier provider of Nurse Assistant Training (NAT) nationwide. The nurse assistant training gives students the opportunity to develop essential skills in a hands-on environment as they work under the care of professional nurses. The comprehensive curriculum exceeds the state’s standards, and instructors use laboratory practice, DVDs, role playing, lectures, and procedural skills to share information. Each classroom is fully equipped with medical equipment, hospital beds, and clinical supplies to prepare students for work in a clinical environment. The ARC offers small class sizes, hands-on experience, licensed instructors, easily accessed locations, and various schedules and course lengths ranging from 4 to 6 weeks. Applicants must attend a mandatory orientation session, take the TABE test or present verification of completing high school or GED, complete a TB test and physical exam, and pass a criminal background check. The curriculum covers CPR/AED, infection control, vital signs, range of motion exercises, communication, promoting safety, and the art of caregiving. Graduates are qualified to take the State Competency Exam to practice as Certified Nurse Assistants in hospice care, rehabilitation units, psychiatric hospitals, long-term care facilities and other medical settings. NACC prepares nursing assistant students to become direct care providers in long-term and acute care settings. The curriculum includes classroom instruction, lab practice, and a clinical internship in a skilled nursing facility. The course duration is 12 weeks, including classroom (60 hours) and clinical instruction (20 hours). The course instructor will schedule the clinical experience after 20 hours of classroom sessions. 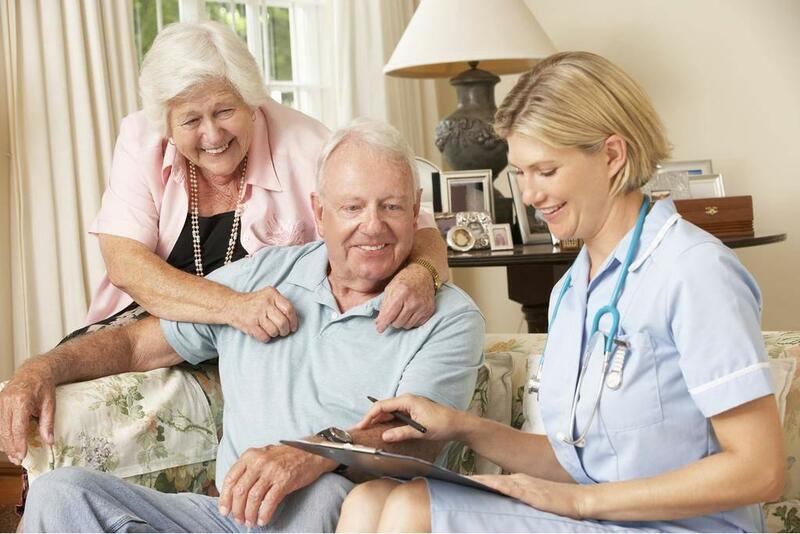 The clinical sites are the Highlands Nursing Homes and Crown Health and Rehabilitation. Classes meet Mondays and Wednesday from 5 pm to 9 pm. Applicants must be 16 years or older and pass a TB skin test before commencing the clinical training. The cost of attendance is approximately $562.50 for tuition, $152 for the textbook, $20 for insurance, $60 for uniform, and $90 for the licensure exam. The course qualifies for WIA. The Nurse Assistant course combines classroom theory, skills lab, and clinical rotation to introduce students to the world of health care. The 80-hour course is approved by the Alabama Department of Health, so graduates are eligible to take the State Competency Exam to become Certified Nurse Assistants. Graduates must take the written and skills competency exam within 24 months of graduating from the course. Applicants won’t need a high school diploma for admission. However, they must have the physical capacity and AHA for Health Provider CPR certification for the clinical component. Other requirements include TB clearance, a negative drug screen, and clear criminal background check. Course topics include medical terminology, anatomy and physiology, infection control, vital signs, safety and emergency, communication skills, patients’ rights, patients’ independence, mental health concepts, law and ethics, death and dying. Tuition for the program is $544. Other expenses include the course textbook ($81.75), liability insurance ($20), criminal background check ($53), ID badge ($5), certification exam ($100), plus costs for the TB test and drug screen. NHC HealthCare prepares nurse assistant students for employment in their healthcare centers. The program emphasizes compassionate, competent and quality patient care. The state and federal approved program is an intense 120-hour course that includes 40 hours of lecture and 80 hours of clinical internship. New classes begin every month and run for 3 weeks. Classes meet from 7 am to 3 pm. Applicants must be able to read, write, and understand English, pass a criminal background check and drug screen, obtain a passing score on the pre-admission exam, and receive favorable results from a physical exam and TB skin test. All students must have a positive attitude. Since students are prepared for employment at NHC facilities, there is no fee for the course. However, students must purchase their own uniform.